Beatles-era technology might help us to use supersonic travel to follow the sun. But I've got a feeling most of us will wait. The technology to build supersonic airliners has been around since the Beatles were still playing together, but it has been more than a decade since the last passenger jumped the pond faster than news that Ed Sullivan had booked the Fab Four. So what factors need to come together to allow day-trippers to shuttle between London’s Abbey Road and Central Park’s Strawberry Fields memorial once again? Really, only two: a need for speed and money to burn. There are a lot more rich people in the world than there were back in 1969, when the Soviet-built Tupolev Tu-144 and the Anglo-French Concorde made their first supersonic test flights. The Concorde entered commercial service in 1976 and flew until 2003. Back in the U.S.S.R., the market for ultra-fast passenger travel never got far off the ground. The Tu-144 made only 55 passenger flights before it was reduced to freight-only service in 1978 and grounded completely a few years later. These days money can’t buy love or a ticket to ride on a supersonic passenger jet. 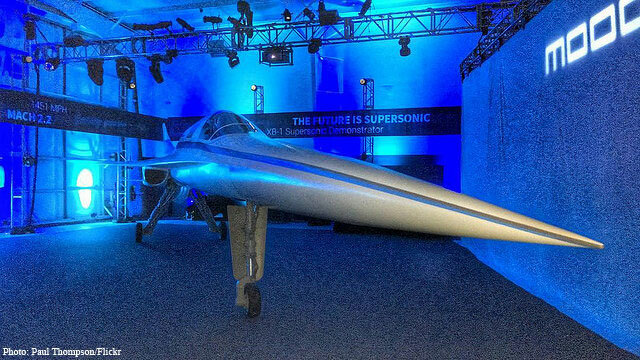 But several companies are willing to bet that by the mid-2020s, there will be enough well-heeled passengers willing to pony up big bucks (or euros, or yuan) to make business-class supersonic travel cool again. Boom Technology Inc., based in Denver, has secured backing from Japan Airlines and Virgin Group in its quest to build a 55-seat jet aimed at business travelers, which will be capable of speeds up to Mach 2.2 (a little more than twice the speed of sound). The company hopes to have its aircraft in the air by 2023. This is an ambitious timeline, though the company is considering adapting existing engines to expedite the process. It plans to launch a test flight of a smaller prototype by the end of 2018. Blake Scholl, Boom’s founder and CEO, told The Wall Street Journal that the main enabler for the company’s plans is carbon-fiber material used for airframes. Compared to conventional aluminum, carbon-fiber is lighter, stronger and does not expand when heated. His company’s design would also make changes to the jet’s size and shape compared to the Concorde. This shape change, along with a planned cruising altitude of 60,000 feet (similar to Concorde’s), is in part designed to mitigate the window-rattling sonic boom once associated with supersonic travel. For now, faster-than-sound travel for civilians is mostly restricted to trips over an ocean since many countries – including the United States – ban such flights over land. Still, Boom’s leaders remain optimistic. Nor are they the only ones. Aerion Corp. is working with Lockheed Martin to develop supersonic passenger jets of their own, and Spike Aerospace Inc. is exploring supersonic jets for the private market. All three companies face not only airspace restrictions, but questions of fuel economy. Aerion, unlike Boom, is engineering a new engine, but proposes a top speed of only Mach 1.4. Spike is aiming for Mach 1.6. I would love to see a successful supersonic aircraft make a comeback. At least for baby boomers like me, a transoceanic journey at 60,000 feet – nearly twice as high as most subsonic jetliners – is as close to space travel as most of us are going to get. Besides, aging bodies just don’t like to hold a sitting position for, say, the 11 hours it takes to fly from San Francisco to Shanghai. Private jet travel at supersonic speed is almost surely an idea whose time has arrived. It is a niche market compared to commercial aviation, but it is a market in which price is no object. Growing wealth in places like Shanghai has also created demand for ultrafast travel to places like Australia and the American West Coast. I am more skeptical about the economics of supersonic travel in the commercial market. Its primary audience would probably be business travelers. But these days, there are fewer reasons to travel for work at all when we have so many other communication tools at our disposal. Shaving three hours off a flight from the U.S. Northeast to western Europe just is not a big enough deal to justify a huge cost increase for most travelers, even in business class. While Boom expects per-seat costs will be as much as 75 percent lower than the Concorde, today’s travelers will be comparing costs to slower traditional flights, a calculation in which supersonic options will undoubtedly run significantly more expensive. Cutting six or eight hours, or more, from a Pacific route would be more meaningful. But the fixed reality of time zones, jet lag and the international date line will make it hard to use the saved time for anything commercially useful. And this assumes that the next generation of supersonic planes will have not only the speed, but also the fuel range, to cross vast ocean distances at such high speeds. The potential market for supersonic travel is much bigger today than it was back in the days of long hair and Nehru jackets, but the technology that made it possible yesterday may remain impractical today, as it still faces many of the same constraints. If, in the end, we fail to get back to the age of supersonic travel, I suppose I could cry instead. I don’t want to spoil the party, however, so I’ll just let it be. 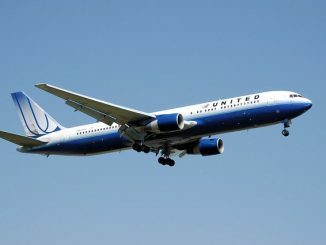 What Is Wrong With United? Is The Hyperloop Behind The Intra-day Airline Stock Plunge?